'Child of owner' gets training as she prepares to someday manage their family's business. 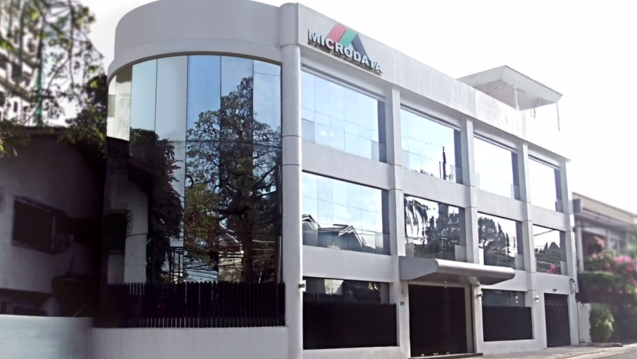 Microdata System Management is one of the leading providers of technologically advanced products and services catering to customers’ education, video conferencing, and audio-visual entertainment needs. 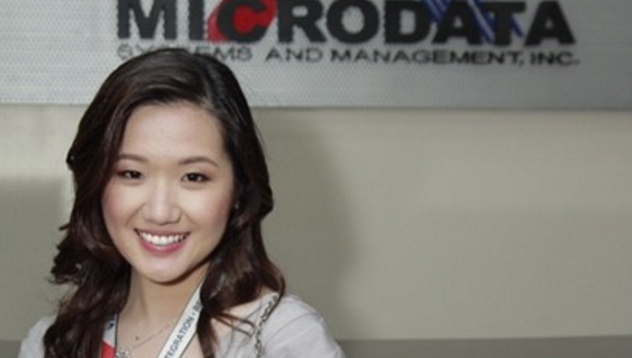 Its current VP for AV sales and marketing, Adeline Ang-Te, talks about how she got into the company that her father established 35 years ago. Q1. You have recently taken over the day-to-day operation of Microdata from your father. How did he train you? A: My father started the company before he got married, so as far as I could remember, I have always been exposed to business. I was raised up thinking that I will one day run the business, so it became an accepted reality for me. My parents trained me early on by bringing me to the office during weekends and summer breaks in order to help out with minor tasks such as filing of documents. During college, I was encouraged by my parents to participate in sales-related activities, and that is why I worked part-time in retail and opened a small food business in Ateneo de Manila University. Upon graduating in 2009, my father requested me to join Microdata because the company was growing rapidly and he needed my help. Since my father and I never had the opportunity to be professionally trained or work outside of our own business, we both had to learn to manage the business through hard work, dedication, and experience. My initial training was in the form of working under the wings of our different group managers. I was first assigned to the Marketing Department as an assistant, then later on as Marketing Manager. As the position required me to constantly communicate with our sales teams, I eventually became Sales Manager for one of our business units. After 4 years, I am now overseeing the entire Sales & Marketing Group and co-managing Operations. Q2. What was it about the training you received from your father that you liked? What would you add? What would you remove? A: My father started the business in his early 30’s. He never received formal training nor had any experience in business prior to Microdata, so his approach is “gut-feel” and very personal. He was involved in everything. His first employee was just an assistant from his father’s photography studio whom he brought along wherever he went. It is not surprising that he trained me the same way—he brought me along to wherever he went and asked his managers to keep me abreast with everything that was happening in the office. It was difficult at first because there were no guidelines given to me, which meant I had to constantly ask questions about his decisions. Since he managed through experience, there was very little explanation offered to me. He would always tell me not to worry if his decision led him to a bad outcome as it was all part of the risk of running a business. Perhaps in a way, I somehow liked and disliked learning by observation. I definitely learned faster, but it also meant that I always had to second-guess his decision if he were in my place. Q3. You were an exchange student in France from Ateneo de Manila University. What lessons did you bring home from France? A: I was fortunate to have been accepted to the Junior Term Abroad (JTA) program of the School of Business in Ateneo during my 3rd year in the university. I was on an international study program, so I was able to meet many exchange students and learn a lot about the different cultures of the world. As I was living alone in France for four months, away from family and friends, it gave me the opportunity to understand and appreciate the value of independence. I did household chores, travelled around Europe alone, and tried out several cultural activities while completing my studies for a full semester. Having never stepped out of the house alone before and then traveling halfway across the globe to live by myself for a few months definitely made me more daring, open-minded, and humble. My view and understanding of people and how the world works have changed after that experience. Q4. Microdata has been in the audio-video business for a long time. How is the business changing? A: Microdata has evolved from microfilming to audio-visual (A/V) in the past two decades. Now on its 35th year, the company is recognized as one of the leaders in the local A/V industry. Recently, we have been seeing a convergence of I.T. and A/V wherein everything has gone digital and have become interrelated. This meant having to adapt to new market trends by offering different products and services related to I.T. including security, telephony, and wireless communication. With the expansion into other related fields, we also needed to invest in further professional training for our sales and engineers. With the rapid change of technology and the unlimited resources available on the Internet, our customers are also evolving. Before, we only had to talk to decision-makers from I.T. and purchasing, but now we need to satisfy the requirements of forward-thinking end-users as well. One of the good things about the Philippine economy is that it is growing, and our company has access to many resources which will allow us to satisfy the needs of the market. Q5: The latest in video is not the usual LCD with screen but the LED wall; this has made many weddings and events look more sophisticated or professional. How do you market this technology to the wedding segment? What about the event segment? A: Our industry is very technology-driven and highly visual, especially with its applications for media and advertising. Multi-media projectors and LED walls have now become standard requirements for any type of event. To make an event stand out, more innovative and recently launched technologies are employed such as stretched LED walls and projection mapping. For the personal events segment, the customers are more particular with the overall appearance of their set-up rather than the features of their system, so we focus more on how we can enhance this through our equipment and services. A key marketing approach for this segment is word-of-mouth. On the other hand, the requirements for corporate events are more complex and technical. We work with many specialists such as event organizers, production companies and set designers, who all offer specific value-added services like conceptualization and content. Function and design are very important factors when working on these types of events. Strategic partnerships with these specialists play a big role in becoming successful in this segment. We maintain good relationships with them by being competitive in terms of price and product offering, and the partners who are satisfied with our overall performance work with us on a long-term basis.